Staxton 2nds' Dan Outhart sends down a delivery during his side's win at Wold Newton in Division One. 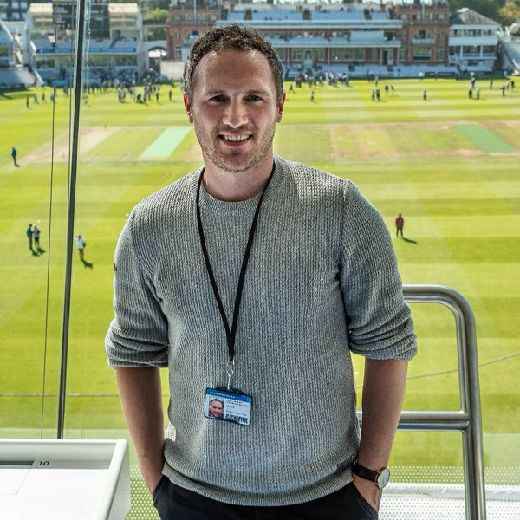 Chris Morrison was the star man as he entered the top flight's record books with a stunning 210 to fire Staithes to derby success against Mulgrave. The double-centurion had support from Richard Hegarty (39) and Tom Steyert (28) as the table-toppers showed no mercy for rock-bottom Mulgrave. Mulgrave's misery was compounded after the tea interval when they were bowled out for just 119, Steyert adding to his efforts with the bat by taking 4-42, only Andrew Thompson troubling the scorers with 56. All-rounder Simon Bowes also took 2-23 to help Staithes maintain their healthy lead at the top of the table. Their solitary challengers for the title, Staxton, maintained the pressure on the high-fliers with a comfortable victory against Filey. Filey were all out for a competitive 199, Dave Brannan (42) and Ryan Baldry (30) their run scorers. That total proved to be a comfortable target for Staxton as Dave Morris (66), Jodie Robson (57) and Nick Gibson (30) all found runs easy to come by as Staxton made it to 200-3, despite 3-35 from Phil Dickens. Scalby moved up into third spot after their 110-run home success against Nawton Grange. Joe Hills' superb 94no helped take Scalby to 220-4, Jon Barton (60) and skipper Adam Waugh (37) offering support. Aussie pace bowler Tynan Economou then took 3-28 and claimed a stunning direct-hit run-out from the boundary to ensure Grange were never really in the run-chase as they were all out for 110, Jim Greenlay the only batsman to offer any resistance as he hit 35. Flixton 2nds picked up a huge win in their bid to avoid relegation as they won a hard-fought encounter at Heslerton by two wickets. Heslerton were all out for 128 as only Sam Triffitt managed to trouble the scorers with 56, Connor Stephenson taking 4-24. The hosts made a good fist at defending their below-par total, slow bowler Dan Jeminson (4-19) and Paul Kinghorn (3-23) ensuring the game went down to the wire, but Jack Walmsley's 42 proved vital in taking Flixton to 131-8. Ebberston are rooted in the bottom two after their defeat at home to Forge Valley, coupled with Flixton's victory. Valley posted 191, Alex Glass (55) Ehtesham (34no) and N Wijesinghe (25) their run scorers, Frankie Beal taking 5-31. Despite stalwart Ady Turnbull hitting 60 and Reece Milner adding 35, Carl Jackson's 4-17 helped see the Ebberston reply end well short on 150-9. Cayton edged out Seamer in the battle of two mid-table sides. The hosts batted first and posted 198-8, Paul Pennock top-scoring with 35, while Darren Foreman (33), James Ward (30no) and Jon Crowe (28) all chipped in, Matty Morris taking 4-27 and Gary Lawton 3-56. Craig Baker hit 41 in reply and Gary Lawton added 27, but 4-52 from Aussie Alex Townsend helped ensure Seamer fell just 22 runs short on 176 all out. Results went to form in Division One as the top four all successfully picked up victories. Ben Luntley was the star man as Cloughton hammered Cayton 2nds by 156 runs to keep the pressure on the top two. Luntley smashed an unbeaten 109 as Cloughton posted 225-3, Jon King (48no) and Richard Ward (32) also getting in on the act. Wily seamer Pete Milner then did the damage with the ball as he took 5-9 to help skittle out Cayton for just 69 in reply. Settrington stay comfortably clear at the top after they beat Thornton Dale by seven wickets. Dale posted 148-7, Andy Hill (41no) Tim Hunt (31) and S Asquith (25) their run scorers. That total was nowhere near enough though as Eddie Rounthwaite (67) and George Rounthwaite (47no) eased the league leaders to 151-3. Staxton 2nds are still in second spot after beating Wold Newton by four wickets. Matthew Southwell hit 53 as Newton posted 124 all out, Kyle Outhart (3-28) and Mark Dove (3-34) doing the damage. Charles Gray did his best to haul Newton to an unlikely victory, but his 3-44 wasn't enough as Sean Pinder (50) and Liam Scott (40) helped take Staxton to 127-6. Fourth-placed Sherburn beat Brompton by six wickets. Tom Pateman smashed 74 and James Allison added 25 not out as Brompton finished on 146-8 before Dan Simpson smashed 75 to help Sherburn to 148-4. Grindale conceded their game at Wykeham.